As a healthy/green community event, the MI Earth Day Fest needs a community promotional effort. Log in to your personal Facebook account(s). Go to the MI Earth Day Fest Facebook page, click on the Events tab and the MI Earth Day Fest 2019 event (or cut and paste the following link into your browser: www.facebook.com/events/2220430144863302/. 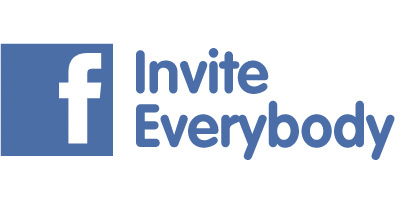 Click on the Share button under the banner and "Invite Friends", then select friends to invite. Let us know how your invites are going. We'll recognize your efforts, enter you in the promo contest, and award prizes at the festival. Don't wait - do it now. It will feel great! Explore green and healthy living at one of the planet's largest Earth Day celebrations! Join thousands of fellow earthlings at the 2019 MI EARTH DAY FEST starting Friday April 26 and running thru Sunday, April 28, at the beautiful downtown Rochester Park/City Center. SHOP at 100+ exhibits - get free samples and show specials. LEARN at expert presentations, kids' programs, health screenings and Connect Cafe round-tables. CELEBRATE with great entertainment, kids’ activities, healthy food and fun for all ages. Admission and parking are free. Visit www.miEDF.com. With your help, we can all look forward to a very healthy turn out!